To add a team to competition, follow the steps given below. 4. Click the Add Team to Comp button. The Add Team to Comp dialog will be displayed. 5. 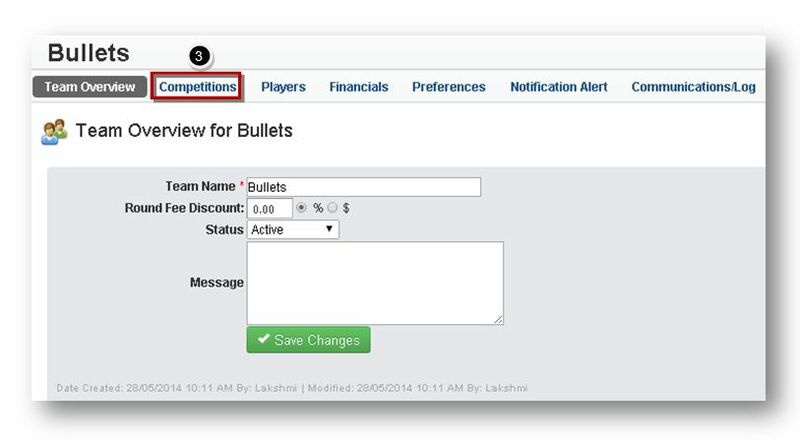 Select the name of the sport from the Sport drop down list. 6. Select the name of the division from the Division drop down list. 7. Select the name of the season from the Season drop down list. 8. 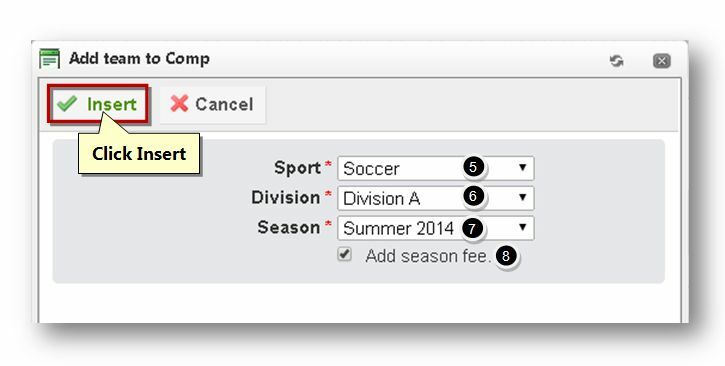 Specify whether the season fee is to be added or not by checking or un-checking the Add Season Fee option. 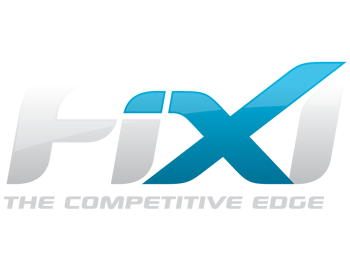 The selected team will be added to the competition.